Introducing Noёl Coward's wonderful comic play, Present Laughter. This story was described by Coward himself as "a series of semi-autobiographical pyrotechnics", and he actually appeared in the starring role during the original run. Later actors playing the lead role have included Nigel Patrick, Albert Finney, Donald Sinden, Peter O'Toole, Simon Callow, Victor Garber, Sir Ian McKellen, Rik Mayall and Kevin Kline, and the play has proved popular all over the world. Now it's here in theatreland for summer 2019. “I knew how deep your longing must be to have someone really to love you, to be with you, when I saw that dreadful prostitute come out of the spare room.” “That was not a prostitute. It was the husband of one of my dearest friends!” Funny? Oh, yes, and that's only the tip of the wittiest, most wonderfully funny iceberg, a Coward classic that's as clever as it is incisive. This time around Matthew Warchus directs Andrew Scott in the starring role, delivering an extraordinarily provocative comedy. Luke Thallon, Sophie Thompson, Suzie Toase and Indira Varma comprise the rest of the cast, sound is by Simon Baker, sets and costumes by Rob Howell, and lighting from Hugh Vanstone. 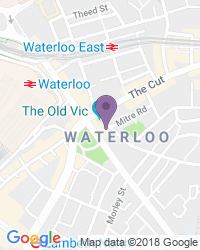 First performed in London during 1942, right in the middle of World War Two, the plot follows Garry Essendine, a successful comic actor who is about to leave on a tour of Africa. Garry is handsome, witty, and beset by rumours about affairs that could trash his career. He's used to being adored. His fans are utterly besotted, his secretary loves him, his wife and everyone around him demand his attention, his approval, his love... and his fortieth birthday is about to send him crashing head first into the most enormous, ridiculous mid-life crisis. The show, which is being eagerly awaited, opens in late June 2019, and is even more powerful than it might be thanks to it being partly autobiographical, referring to Coward's own mid-life crisis. In fact this is thought to be Coward's most autobiographical work of all, which is probably why it delivers such a passionate and genuine-feeling observation of the star's narcissism, hero worship, and ultimate loneliness. But it's also full of real, laugh-out-loud moments and actually goes a lot deeper than you might expect. Andrew Scott joins a crew of outstanding comic actors, an Olivier Award-winner for Outstanding Achievement in an Affiliate Theatre thanks to his performance in A Girl in a Car with a Man at the Royal Court theatre. He has also played Hamlet at the Almeida, but he's probably still best known for his TV roles as Moriarty in Sherlock Holmes, and the priest in the TV series, Fleabag. 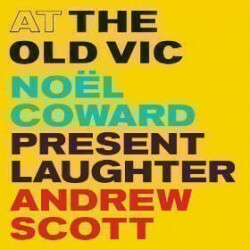 Present laughter is an adult play suitable for people aged 11 and over. Use the search box at the top left of this page to search for Present Laughter tickets availability.